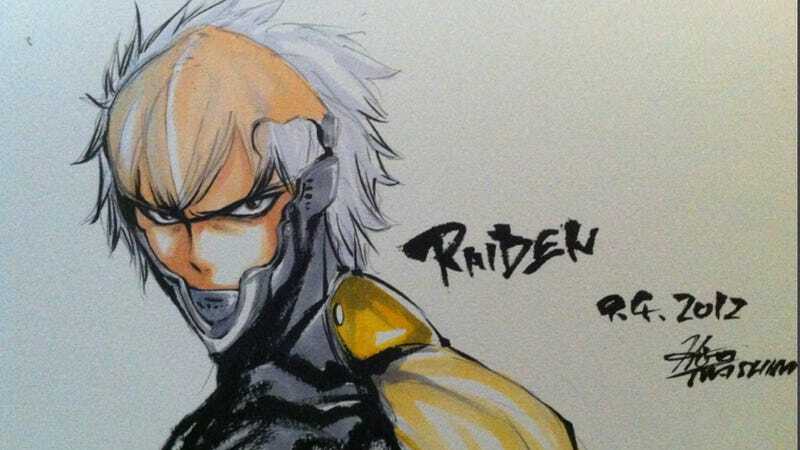 Japanese manga artist Hiro Mashima (Rave, Fairy Tail) was blown away by Raiden at the recent Metal Gear Solid event. So, he decided to do his take on the character—see above! The result looks younger—like a manga character should—and quite different from the way Konami's in-house artist and character designer Yoji Shinkawa draws the character. Mashima is no stranger to manga adaptations of video games. Previously, he did a Monster Hunter manga called Monster Hunter Orage.